The so called “419” advance fee fraud borrows its name from the section of the Nigerian penal code that deals with this kind of offence. Over the years, the way that this type of scam is perpetrated has evolved and become ever more sophisticated. There are many variations of it revolving around a common theme. Usually, a victim will receive an email out of the blue suggesting that they have won a lottery. Or in other cases that their assistance is required to move very large sums of money on the basis that they will earn a handsome commission for doing so. 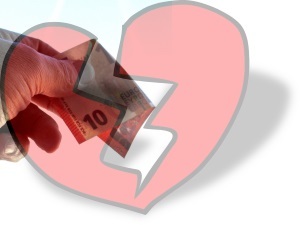 Our investigators have, for many years, investigated and helped to prevent numerous advance fee frauds on behalf of its clients, especially in cases of Romance Scamming. Contrary to popular belief, there are things that you can do to attempt to recover your losses and catch those responsible. In several states, there have been many landmark cases where bank accounts held by the fraudsters have been frozen and monies returned to victims. This is only possible with a thorough investigation prior to legal action, to obtain all of the necessary evidence to see the matter through the complex court process. The fraudsters rely upon the victim feeling helpless, and doing nothing to pursue them. Much of this kind of fraud goes unreported, and so total losses globally are unknown. It is suspected that it costs the global economy billions of dollars every year. And it is known to have links to terrorist finance and large-scale money laundering. To talk to an experienced private investigator, please call us on +49 – 2369 – 20 30 490. Or drop us a line if you need peace of mind.